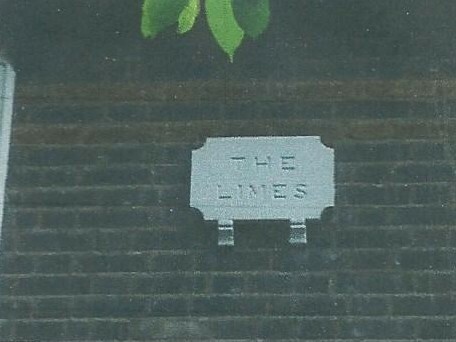 This is the sixth in an occasional series of articles by Forest Gate resident, Peter Williams, who specialises in Newham housing, maps and local history. In each he looks, in detail, at the history of particular streets in Forest Gate. 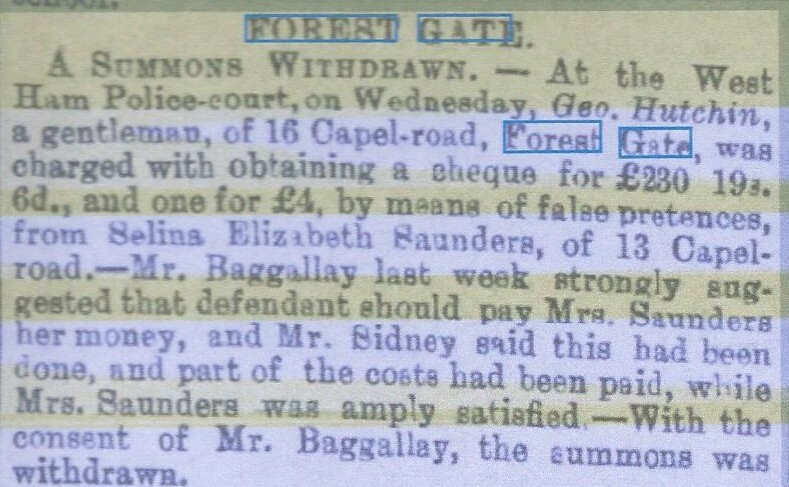 Peter has complemented his own knowledge by accessing the increasingly digitised national newspapers' collection - which can be found here- and has added extracts from this that refer specifically to Capel Road. 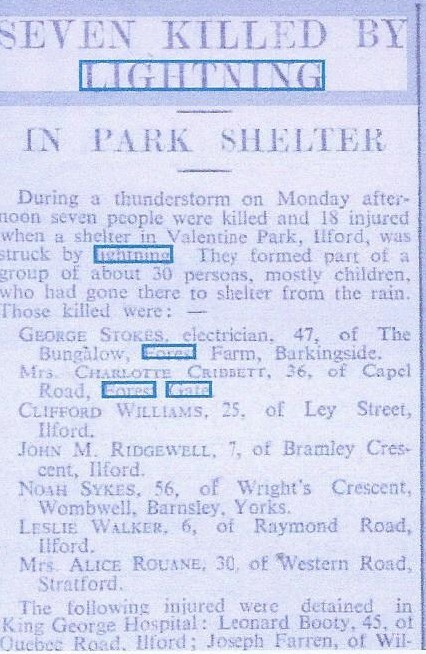 As the footnote makes clear, he is also very grateful for the co-operation of some of the residents of Capel Road in preparing this piece - most notably, fellow local historian, Mark Gorman. 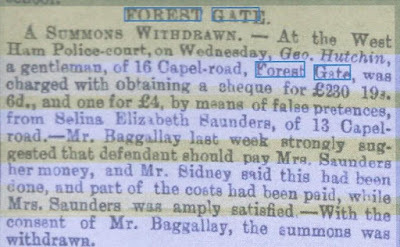 In the 1870s it was renamed Capel Road - Capel being a name strongly associated with Norfolk, the original home of several prominent Forest Gate Quaker families, notably the Gurneys, who owned the land to the south of the newly named road (see various previous posts for details - by using the search engine - of the Gurney influence on Forest Gate). It is very likely at his time that Capel Road had the characteristics of a very rural track on the edge of the Epping Forest land, with a few houses. 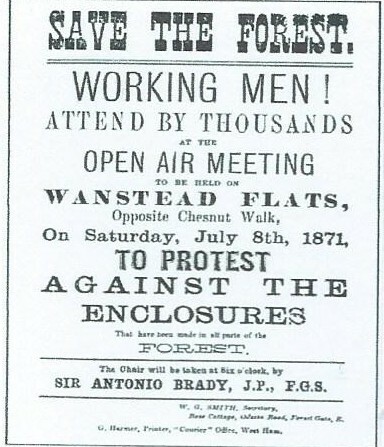 In 1878 an Act of Parliament was passed preserving the Forest from development. 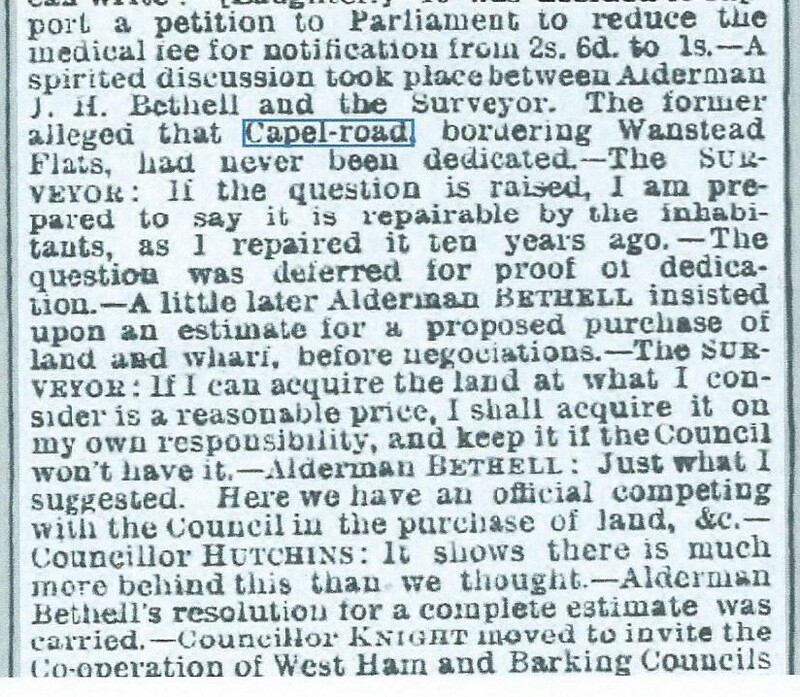 The extract below, from the mid 1890's, reports an East Ham Council meeting about the adoption of Capel Road by the council. Until then its maintenance was the responsibility of the householders, emphasising the country feel of the area till the turn of the century. Capel Road stretches from Woodford Road in the west all the way to Forest Drive, 1.5kms to the east. 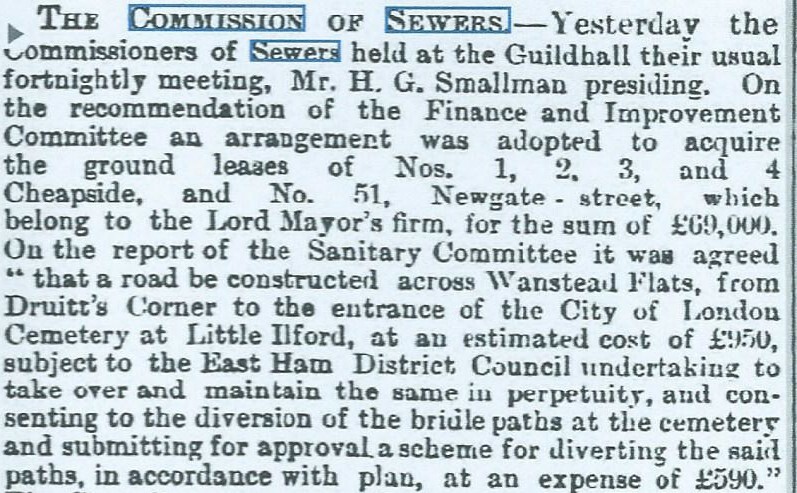 It forms the most northerly road in what is now the borough of Newham. Until 1965 the western end up to Ridley Road junction was in West Ham Borough, and the rest in East Ham. Just to the north was Wanstead and Woodford Urban District council (UDC, now Redbridge LBC). The current borough boundary between Newham and Redbridge coincides with the northern curb line of the road. This changed in the 1990's when the Boundary Commission rationalised the historic boundary. A small area of Wanstead flats west of Ridley Road used to be in West Ham and then Newham. 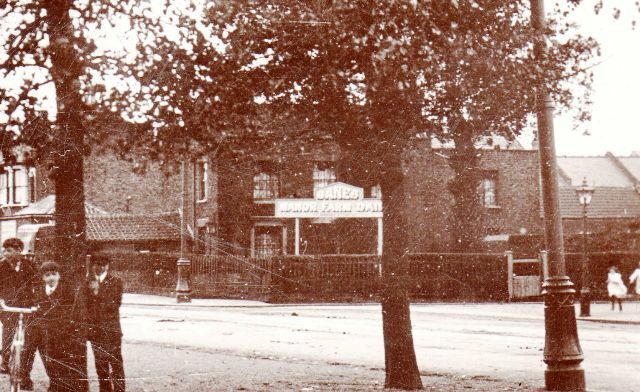 Hence Angell or Bandstand Pond at the corner of Woodford Road was in West Ham historically; the boundary line cutting Centre Road just north of 113 Woodford Rd. 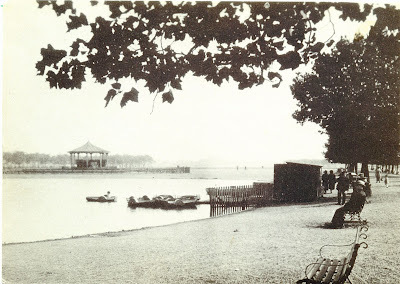 Indeed, both the bandstand and the pond were constructed by West Ham council in 1897-1898. 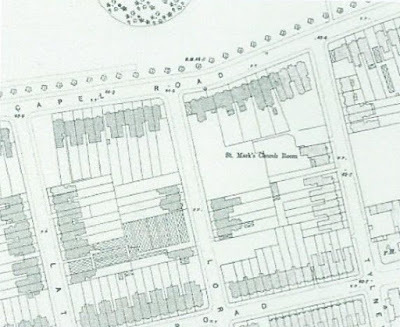 This is shown clearly on the 1898 OS map below (see “Co and Parly Boro Bdy”). 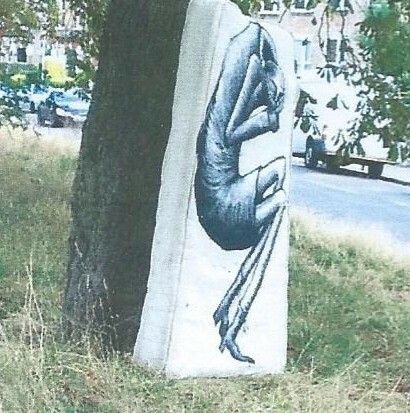 Since 1965 Waltham Forest has been the local authority west of Centre Road and north of Sidney Road. To this day there are boundary disputes between the various authorities, for example, on who should clear up fly-tips on the edge of the Flats. Newham is responsible up to the curb line in Capel Road; Redbridge for what is on the grass but by convention Newham does pick up fly-tips which are not in Newham. The Corporation of London (CoL) is the landowner, not the local authority with the cleansing duty under the Environmental Protection Act, but the CoL can, and does, prosecute people for flytipping on its land. Newham has no legal authority north of the curb line. This maps needs careful interpretation as the sloping line across it does not exactly coincide with the modern line of Capel Road. The modern road lies slightly to the south and this is most clearly shown if you follow Chestnut Avenue north (the road with a slight dog-leg over the left). 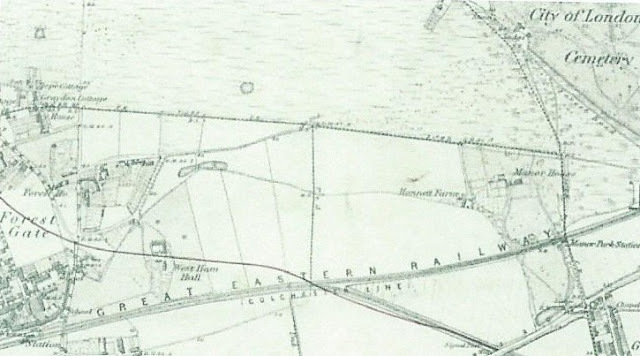 What is now wide Chestnut Avenue, on the modern map hits Capel Road by the Chestnut children’s nursery. On this 1863 map it does not; there are fields there. (See here, for Peter's article on this history of Chestnut Avenue). This map was recently for sale on Ebay (June 2016) and is a fascinating addition to our knowledge. There are several things to note here. The most obvious one is that Capel Road is in two distinct halves, with the cemetery appearing to reach all the way up to the Flats. The role of the Cemetery Company in the development of the area is discussed below. After this map was drawn they must have decided to release land along their northern boundary for development, no doubt very profitably. The other key finding is the presence of fields to the north of Capel Road at the top of Chestnut Avenue. These fields have great historical significance because it is here in the early 1870's that the battle to save Epping Forest and in particular Wanstead Flats, was fought out. 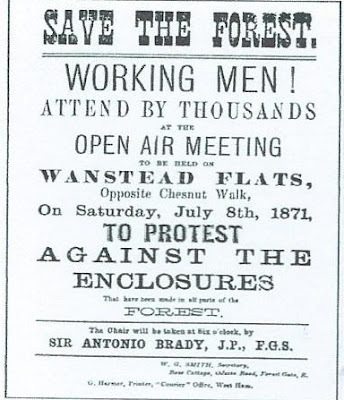 The high point of the campaign was the summer of 1871, when Lord Cowley (who had inherited the Wanstead House estate from his cousin, the notorious William Wellesley-Pole) enclosed land on Wanstead Flats -the current Aldersbrook estate, then part of the Flats. A public meeting was called, to which thousands of east Londoners responded - some estimated the crowd at 30,000. Despite calls for a peaceful demonstration, late in the evening, some of the crowd broke fences – not Cowley’s, but those surrounding the fields near Chestnut Avenue. The police -who had left the Flats earlier, thinking the demonstration was over - found only a pile of matchwood, which some in the crowd suggested they might like to guard. Just one arrest was made, but the owner of the fences, a local businessman called John Gladding, was reluctant to prosecute and asked for the lightest possible sentence. Since his son was a prominent member of the anti-enclosure campaign in east London, he may have felt somewhat embarrassed. Modern Capel Road is also characterised by its varying width, from very wide at the western end to much narrower as you move east. This was governed by the rather fluid boundary in the Victorian period between forest land and cultivated land. Lorne Road had commercial greenhouses well into the 1890's (these are marked in the map, below), after the construction of the first short terraces; and Ridley Road was associated with watercress beds. The striking thing is the presence of commercial greenhouses. These are in Lorne Rd and between Tylney and Ridley Roads. 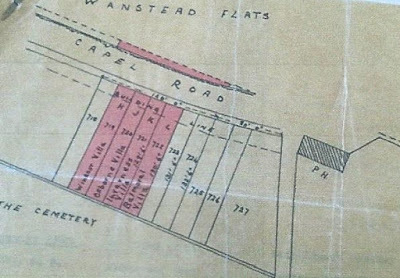 Development of the terraces is also incomplete, despite this map being drawn some 10-15 years after the first houses were built in the area. 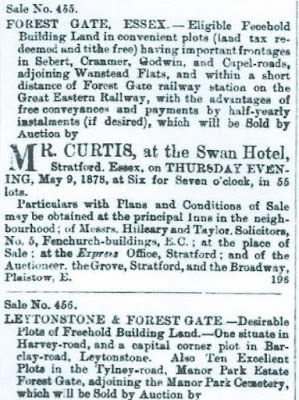 The Manor Park Cemetery Co. bought up most of the former agricultural land between Manor Park station and Forest Gate station in c.1870 from the British Land Co. who in turn has bought it from Samuel Gurney the Quaker, formerly known as the Hamfrith estate (see here, for details). They used about half for their cemetery and the rest they sold off, or leased in small plots, to speculative builders. Builders often built just half a dozen houses, not whole roads, which is why many terraces have breaks in them. 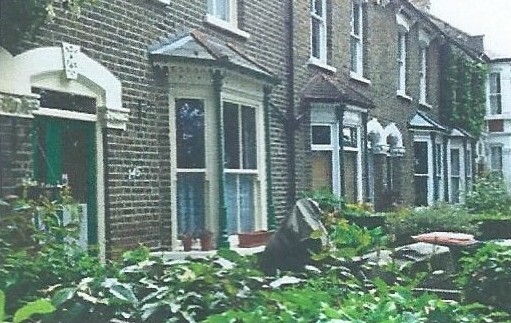 Terraced houses are in slightly differing styles; some are in fact semi detached or detached and this wide variety of styles can be seen in Capel Road. 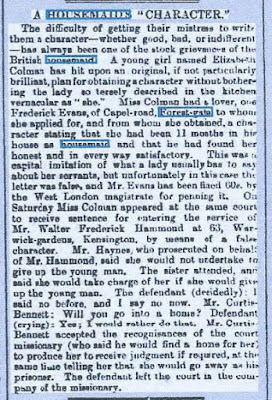 Reading the surviving date plaques on houses can be an interesting study. See here for more on the process of development of housing in this area. 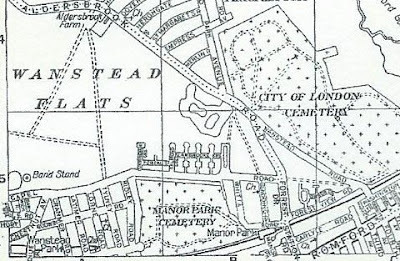 Land was progressively sold off in plots by the Manor Park Cemetery Co. (who had been refused permission for a cemetery covering the whole area between Forest Gate and Manor Park). 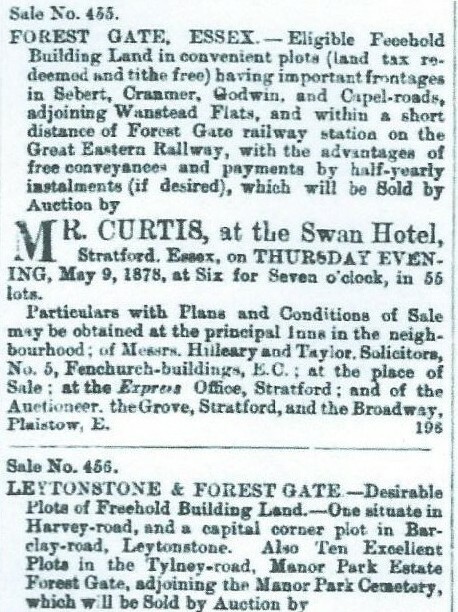 Development was patchy, probably because the developers tended to be local residents, who would buy one or several plots, then amass enough capital to build, and because the cemetery company required houses to be worth no less than £300 - a substantial sum for Forest Gate houses at that time. Many resorted to loans from one of several building societies operating locally. For example, the plots for nos. 151 and 152 Capel Road were bought in 1880, but building only commenced in 1886. 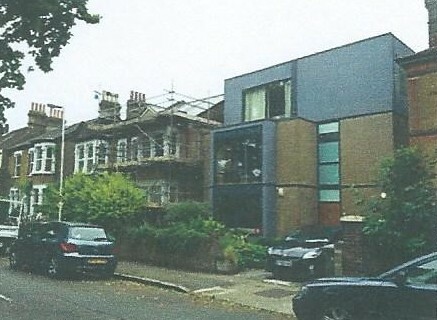 The developer was a retired sailmaker living at Clifton Villas, Capel Road. 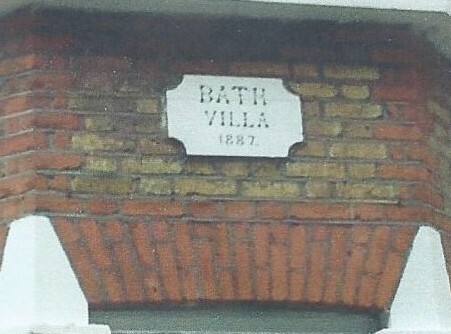 A Bristolian, he named the houses Bristol and Bath Villas. Postcard images below from the early 20th century show the extreme western end of Capel Road and the pond next to what was the bandstand designed by Lewis Angell, borough engineer the West Ham. The pond was made in c 1897 to collect surface water from the Flats during storms, to prevent flooding in cellars of the Broadway (ie Woodford Rd/Woodgrange Rd) and when rains ceased water would drain away through a sluice conducted for that purpose. 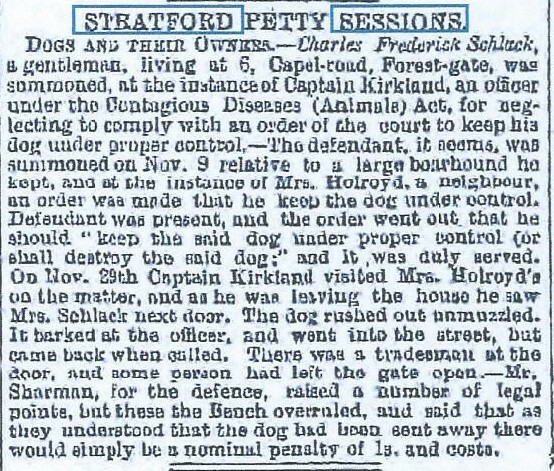 Considerable annoyance is caused by the bodies of dogs and cats which end their existence here, or else are thrown in after they are dead, and are then allowed to decompose and become a most disgusting nuisance. 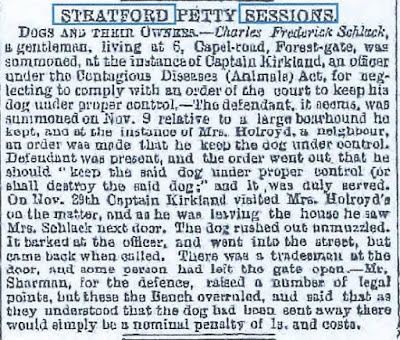 Tradesmen and others drove their horses and carts in and cleaned up – “the putrid materials...are worse than sewage”. 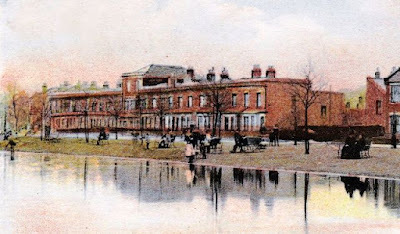 The correspondent suggested turning the lake into a model yacht pond, of interest to Forest Gate residents, “some of whom possess some exceptionally fine model yachts”. 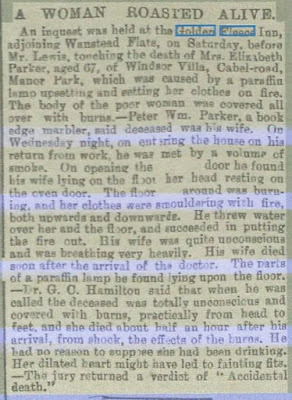 And on 4 March 1898 W.F. 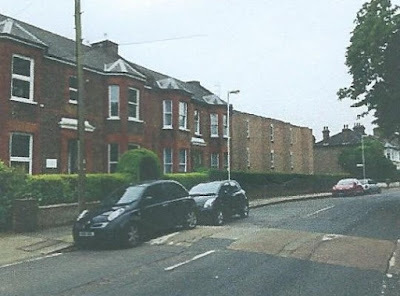 Street of 44 Capel Road wrote to ask if the articles regarding Capel Road are because the writer “ has any feeling against the residents of this road?” Not only Capel Road residents, but those of other roads had complained about Angell Pond. 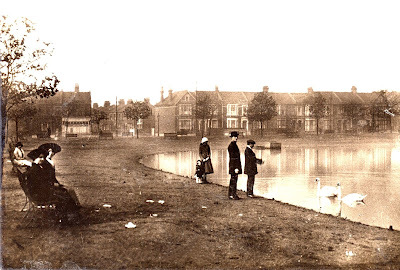 Angell Pond, early 20th century. Barwick Road is in the background. On the corner of Barwick Road and Capel Road, in the photo above, there is a shop premises visible that has now been converted to flats – see photo, immediately below. is like a mini resort for Sunday afternoon leisure. This area was known as Monkey Parade at this time. 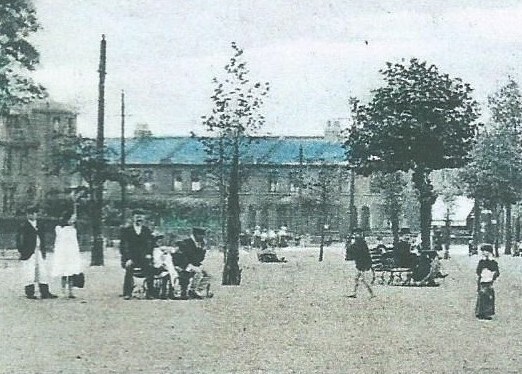 There are planted avenues of plane trees shown in the photo which survive to this day. See the Chestnut Avenue article, referred to above, for details. 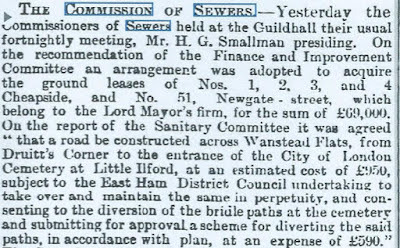 To quote from a 1911 West Ham council report proposing "repairs round Angell Pond, and construction of a pathway between Woodford Road and Sidney Road to be carried out by unemployed men." It is clear from this map, that by the outbreak of the First World War Capel Road is more or less complete in the form we know it now. There were Zeppelin attacks immediately to the north and west, but little or no damage was done to Capel Rd, itself. The Second World War brought much greater changes. The photo below was taken by the RAF on 7 August 1944. Angell Pond is in the top left hand corner; the Golden Fleece bottom right hand. 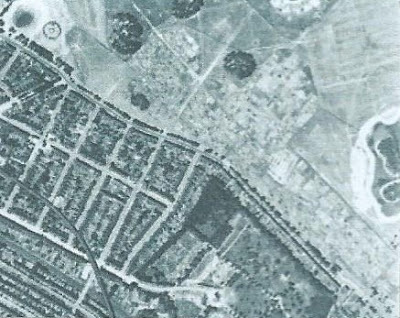 Capel Road angles diagonally across the image, with the Alexandra or Sandhills pond on the right hand edge (Sandhills was dug in Edwardian times as a job creation scheme by East Ham council). Manor Park cemetery is visible at the bottom. The tiny squares that cover Wanstead Flats along Capel Road are allotments. There were several hundred on the flats by 1944, in various clusters. After this picture was taken prefabs were built. Below is a 1950's street directory to the eastern end near the Golden Fleece. 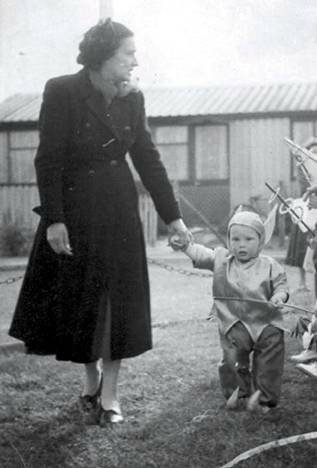 You can see very clearly the large East Ham Council prefabs estate that was build on the flats in late 1944 and early 1945. They were built partly by Italian prisoners of War, who were camped on the Flats. The roads were named after the heads of the RAF, army and navy at the time. For more on the prefabs see here. Below is a photo of Cunningham Gardens, Capel Rd in the 1950's. These prefabs were only demolished in the early 1960's, when the current sports pitches were laid out. 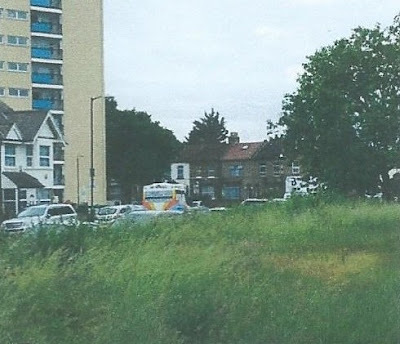 There was fencing along the eastern end of Capel Road round the prefab estate which some current residents remember. Prefabs survived elsewhere in Newham, right up to the late 1980's; the last being in Miers Close, East Ham. Though originally designated as temporary housing for bombed out families, intended to last a few years, they were immensely popular, as they were of such a high standard compared with where people came from, often shared houses with no bathroom and outside toilet. Newham Housing department had some difficulty demolishing some of them in the 1980s because of their popularity - a bungalow with a garden was hard to match for the rehousing officers. West Ham Council also had prefabs on Capel Road, but they were of a different design and of lower quality. 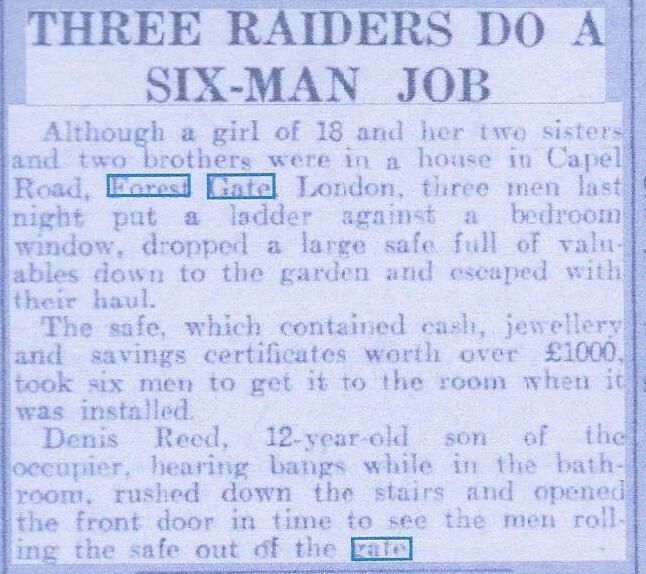 They were located at the end of Latimer and Cranmer Roads and were demolished prior to 1960. Many houses in Capel Road have been, not surprisingly, occupied by professional people as this sample shows: - number of house, name of occupant, profession and year of occupancy. This list may confuse "chemist" in the sense of pharmacist and people who work in chemical engineering. 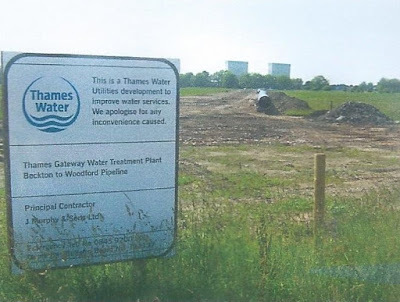 The preponderance of chemical engineers may indicate the importance of that industry around Stratford at that period – indeed it was known as “stinky Stratford”, because there were so many chemical and similar factories. By the mid 1960's Newham was building a number of tower blocks, heavily subsidised by central government. One of these is Capel Point at the western end of the road. The block is now part of a Private Finance Initiative contract (the notorious PFIs) - where Newham let a 25 year contract in 2009 to Swan Housing Association and a construction partner, Higgins. The tenants remain as council tenants, but all services are provided by Swan. The block was refurbished a couple of years ago with money levered in via the private sector and government credits, for what was called the Decent Homes programme. Concept Brickwork, the white building above. Next to Capel Point there was a small petrol station until about 10 years ago run by the Kuwait or Q8 Oil Company. 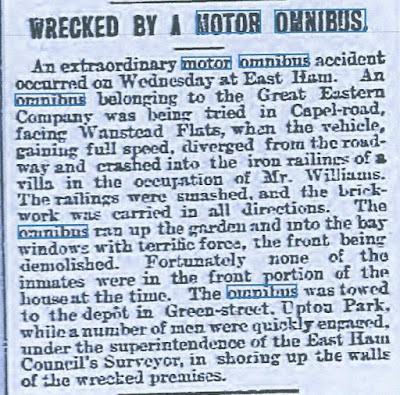 It was demolished and private houses built on the site. that survive from the garage. It would have been around this point that Capel Road hosted some of its more unsavoury events. It became an outdoor meeting point for the British Union of Fascists, during the 1930's, and occasionally provided a ranting spot for BUF leader Oswald Mosley (see here for details). In September 1937, 20 residents of Capel Road organised a petition to prohibit the BUF's regular Sunday meetings on the Flats, "as they were a nuisance and caused annoyance to householders living within hearing distance" from 8pm - 10pm, having reserved their speaking pitch on the corner of the Flats at 4pm or 5pm in the afternoon. The residents were unhappy that the police seemed to turn a blind eye to the nuisance caused by the open air meetings. Mosley came to Wanstead Flats some Sunday evenings. He came in a sealed truck with a wire cage let into the roof. Surrounded by a black garland of close-cropped, scrubbed and wax-like bodyguards. He stood within the cage and screeched his British upper class impression of Streicher to an audience that mostly consisted of children, derelicts and the police. 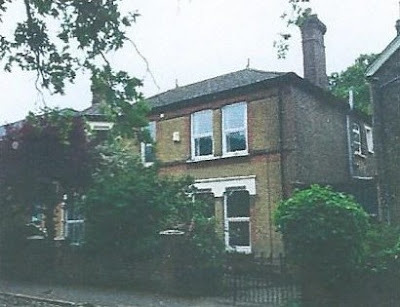 25 Capel Road was many years ago used by the Cuban ambassador as a residence and later became the home of Mark Stephens CBE, the celebrity lawyer, until he moved to Wanstead. He famously displayed a piece of modern art in the first floor window, an upside down life-size naked figure. Mark was chair of Governors at University of East London. It was said the house had an orchard out the back. The modern houses next to 25 were built by Newham Council in the 1980's on a vacant plot caused by that bomb damage, to a design by one of the council’s own architects Dave Dennis. 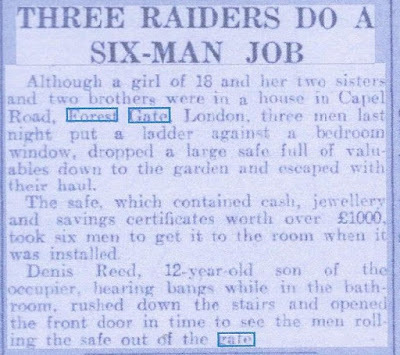 They were among the last council houses built directly by Newham Council under something called the “small sites programme”. that formed the consulting room. The house below used to be occupied by professional dog walkers. It achieved notoriety in 2006 when Maggie May, the dog belonging to the singer/celebrity Lily Allen, was opportunistically kidnapped (dognapped?) from outside. The owner of the business had the dog in his van, right outside, but it was stolen and £5,000 ransom paid by the singer shortly afterwards. The block of flats on the corner of Lorne Road and Capel Road are also on a bomb site but this time the construction was by a housing association, Circle 33, now called Circle Anglia. 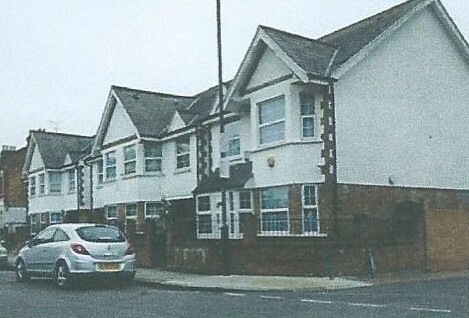 A number of the houses along Capel Road have been used for social housing projects, both low support, and designated higher need residential care homes. The property next to the Golden Fleece was at one time a shop (Capel Road’s only other shop?) and for a while, allegedly a brothel. About 15 years it ago was converted to a care home for people with learning disabilities called The Chase. 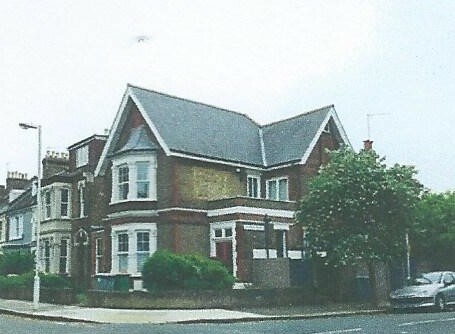 88 Capel Road was once a supported housing scheme, in association with Newham MIND, for people with mental health support needs. It became ordinary housing again in 2010. Another notable property was 110 Capel Road, the home (palace?) of the Bishop of Barking. In the 1990's it was occupied by Bishop Roger Sainsbury, but then sold by the diocese in the 2000's on his retirement. The fine detached former "Bishop's Palace"
Bishop Roger had wanted the bishop to live in Newham, not Barking, as it had a far larger population. He was long associated with the borough, especially the Mayflower Centre in Canning Town, where he worked with former English test cricket captain, Revd David Shepherd. The property was briefly known as Barking Lodge. 111 Capel Road is the most modern house in the road. 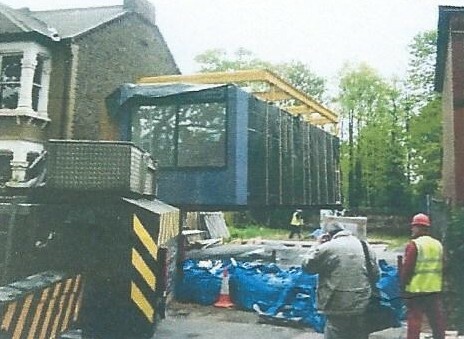 It was architect-designed about 15 years ago on the site of an older house which was demolished, and arrived in modules on the back of a lorry. A crane was needed and the road was closed for a few days. 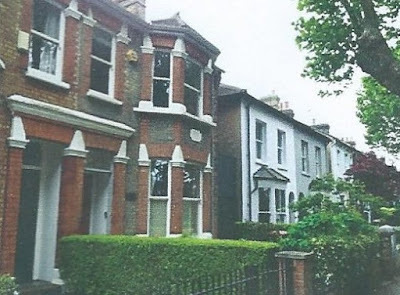 112 Capel Road became notorious a few years ago, as the scene of a murder. The house, which is privately owned, had been empty for some years and occupied by squatters. There was a fight amongst the homeless men living there on 20 January 2011, when Paulius Korsakas, 27, murdered 37-year-old Russian Igor Vinogradov as the victim slept on the floor. 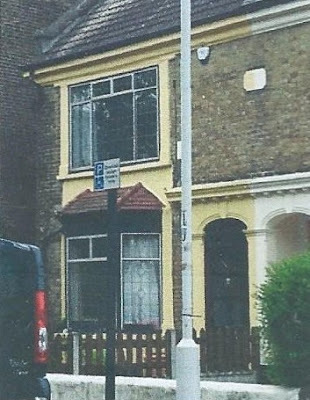 Newham Council subsequently issued compulsory purchase order (CPO) proceedings as the house had remained empty for so long. At one time the council had the largest CPO programme in the country, against empty private sector properties, funded by the GLA. There were well over 100 CPOs in the borough but the programme ended when the money ran out and priorities changed. 112 Capel is one of the last two CPOs. 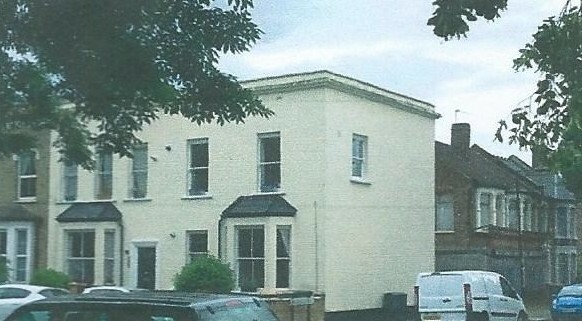 12 Ridley Road, another long term private empty house, was also CPO’d in the mid 2000's. 145 Capel Road and its neighbours display some lovely detailing – such as the barley sugar-twist iron supports to the front bay; and the dog tooth timber detail over the sash windows. They also have interesting door canopies. There is a large variety of these aspects on the road, and many of the features were mass produced for Victorian terraced housing, and builders bought them from catalogues. 151 – 152 Capel Road were built in 1887 by the Bristolian sailmaker (see above) as a semi detached pair. 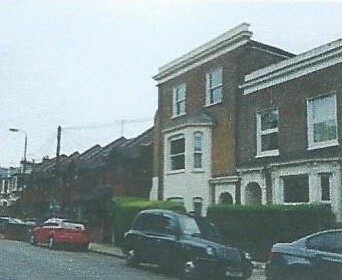 To the right is another semi detached pair and this photo shows the varying building styles that add such charm to Capel Road. One of the anomalies of this part of Capel Road is that some but not all of the houses have deeds that show that the land ownership extends to the hedge line on the opposite side of the road, up to where the ditch now is. This makes these house owners responsible for the state of the hedge line on the north side of Capel Road. for this is not quite clear. and the PH, the public house:'The Golden Fleece'. 157 Balmoral Villa plot 722 – name survives over the front door. 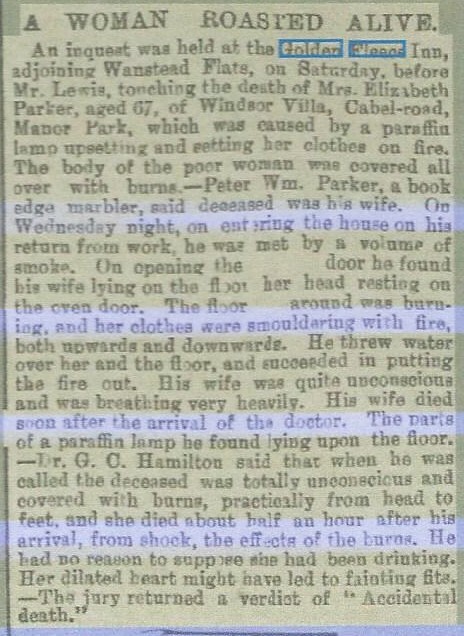 There was a tragedy at Windsor Villa not long after it was built. The earliest traceable reference to the Fleece, as it is known, appears to be about 1871, accoprding to pub history websites. 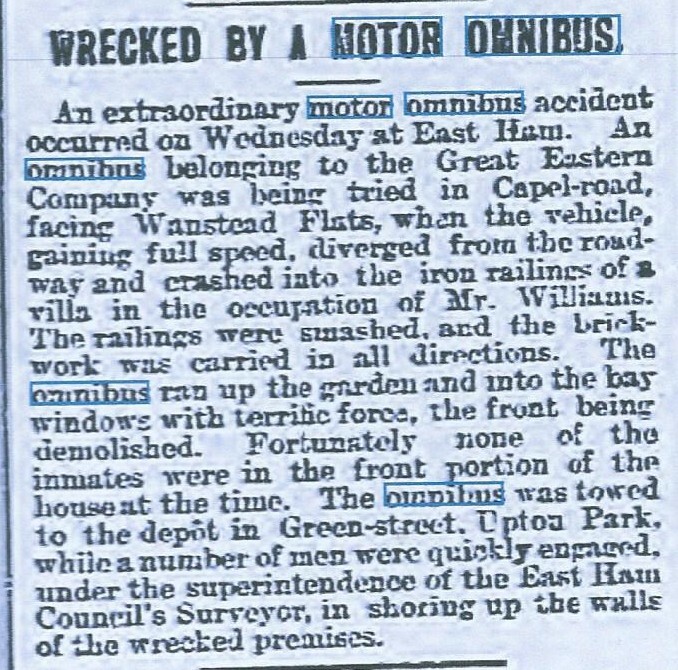 There is nothing new in complaining about funerals near the pub – here is a letter from “Capel Road” on 3 September 1897 ..... a resident – complains of potential funerals along “what has hitherto been a quiet thoroughfare ...Wanstead Flats being the people’s property, the people have a right to have a voice in the matter”. For details of the Fleece and all properties to the north east of it, ob Capel Road, see the articles on this website on the history of Manor Park: here and here. Originally there was no road from Capel Road direct to the entrance to the City of London cemetery. 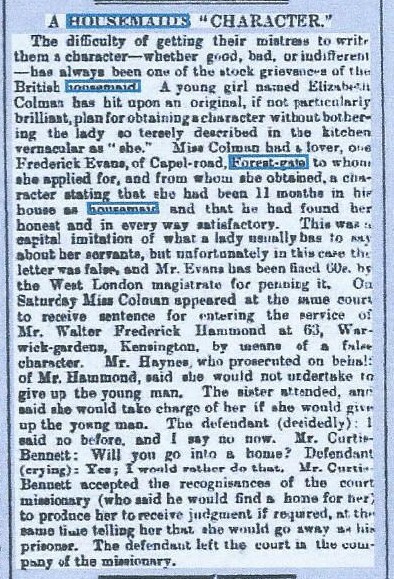 An article appeared on 19 November 1897 “Road over Flats not wanted”. 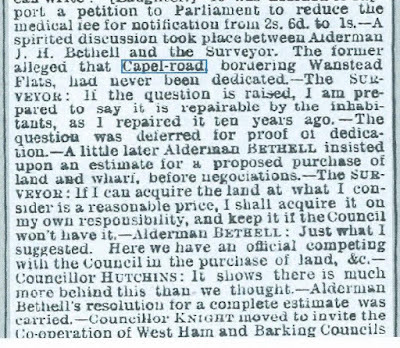 ...A petition by Capel Road residents to the Epping Forest Committee against the road from Druitt’s Corner. Druitt was another firm of local stonemasons attracted by the many cemeteries nearby. 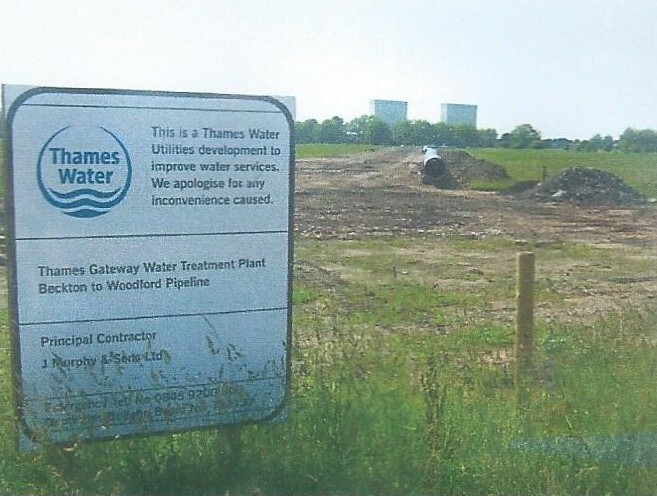 In 2008 Thames Water dug a major pipeline across Wanstead Flats, just north of Capel Road, to connect the new desalination plant at Beckton with the Waterworks roundabout on the A406 Woodford. 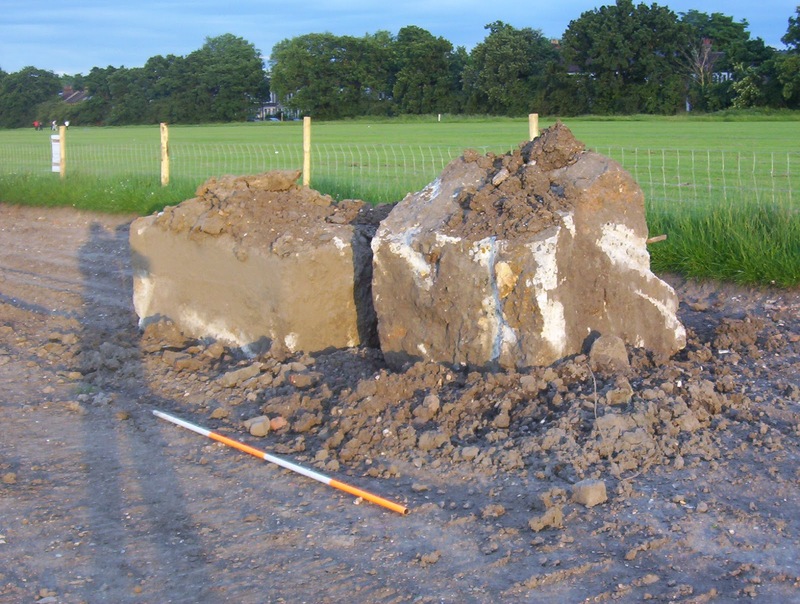 Work lasted for many months and caused considerable disruption. 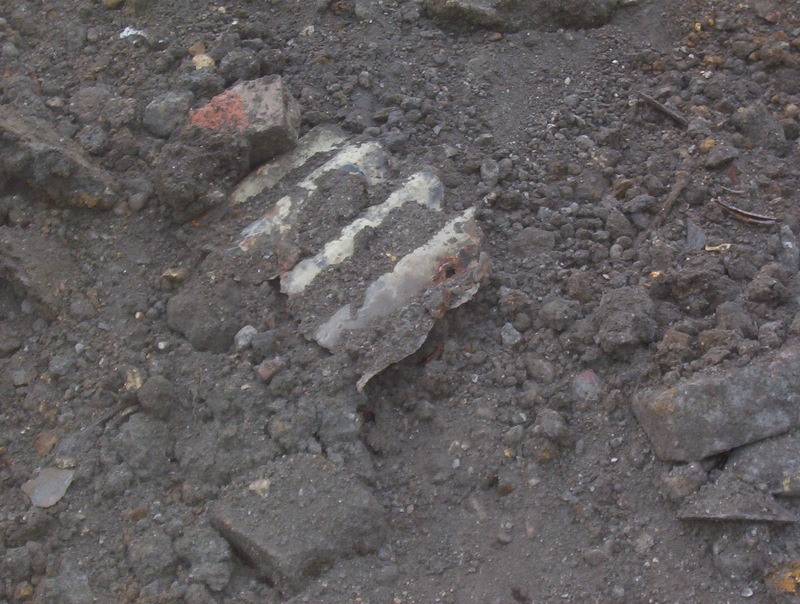 However it also allowed some investigation of what lay under the flats. On the site of the East Ham prefabs author Peter Williams found this piece of corrugated iron which no doubt came from one of the roofs of the prefabs. If you look carefully in the long grass just to the east of the Fleece you can still see other bits of debris representing demolition rubble for the 1960's. 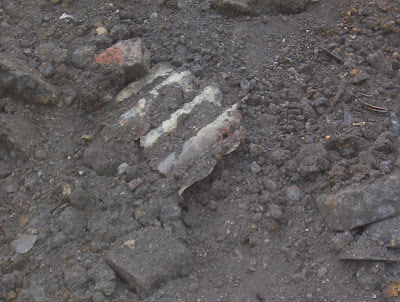 Lemonade bottles and other domestic debris were also found during the pipeline excavations. 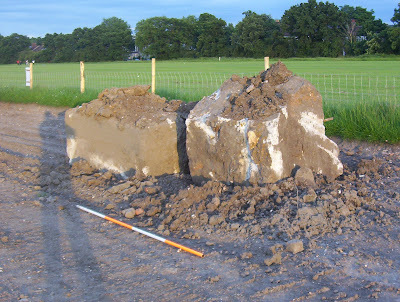 There was a duty archaeologist on the site keeping a watching brief but nothing ancient was found as this was not an area of historic settlement but Forest waste and pasture land. across the Flats, and obstacles put in place. Acknowledgements: Peter is very grateful to Tony Morrison of Capel Rd for supplying pictures from his fine collection of old postcards of the area. And to the owner of 156 for allowing him to copy her deeds. 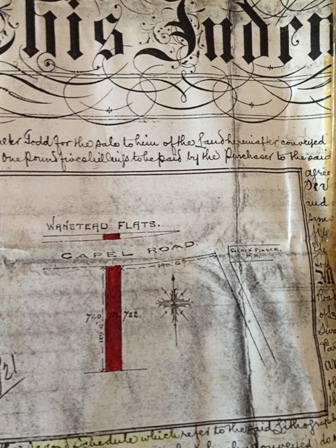 Footnote: If you live on Capel Road and know interesting details about your house's history - we'd be delighted to hear from you, so we can add it to this very detailed piece of work.